Our work often starts with us gathering inspiration as we begin to hone in on what it is we are going to create. For our daylight saving time animation produced for the BBC our key inspiration was 1950s American animation. This era can be characterised by the work of animation company UPA (United Productions of America). Animators at the time were frustrated towards the popular realist style that was being used. This brought forth a movement of animation with an unprecedented bold sense of style. 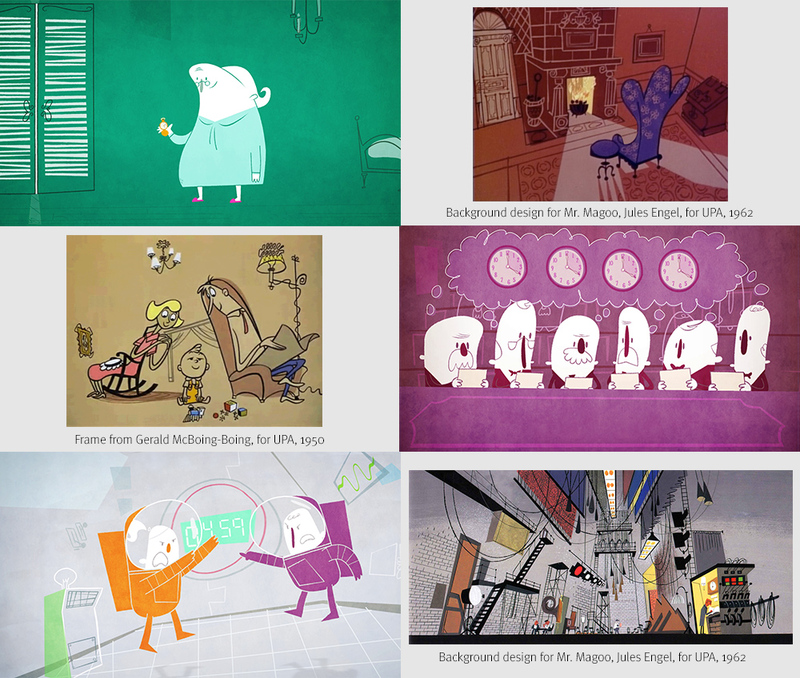 Here is a comparison of final frames of our animation and some of the work that inspired us. We put our unique spin on the style with the bold, modern colour palette, graphical characters and high production values. The complex camera moves and transitions we used weren’t achievable during the 1950s. But now that we’ve all got fancy pants computers we were able to give the animation a modern flow (well, at least we hope we did!). 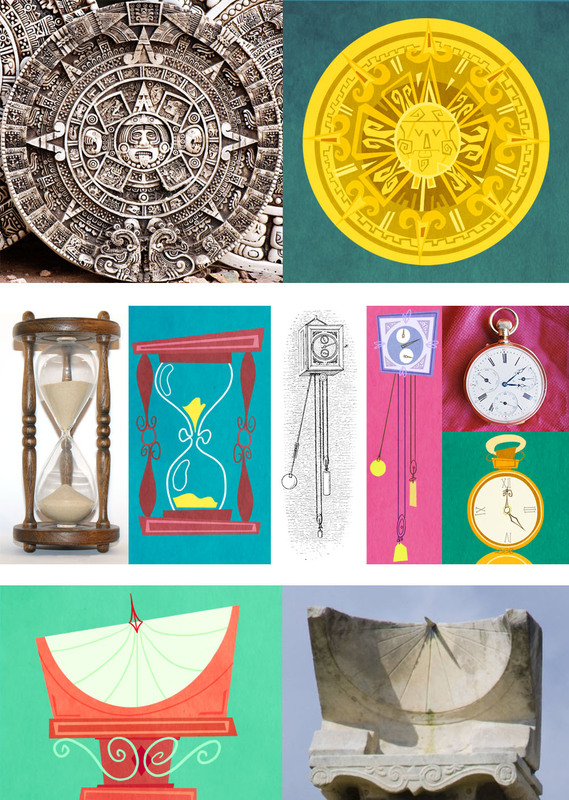 Below are some reference images that were filtered through Sam’s design eye for the timepiece sequence. Using reference is about finding the basic shapes and design elements that makes a thing a thing. We then translated them into the 1950s aesthetic that we were using for the project. For anyone who is interested in the 1950s animation style then we totally recommend the book “Cartoon Modern” by Amid Amidi. Amid also has a blog with tons of beautifully gorgeous images from this era of animation.